I will be sharing two projects I made with my latest stamp sets I deisgned. 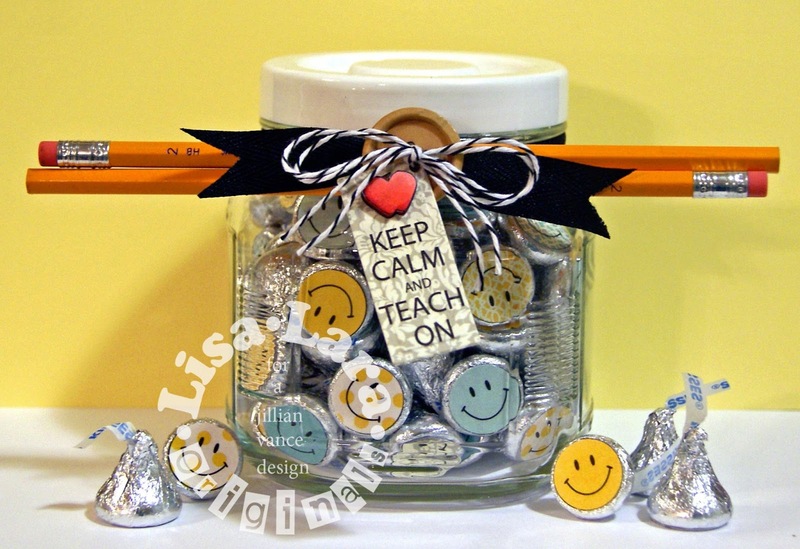 This new set Teacher Teacher will work perfectly for your teacher gifts and for teachers all year round. I used Park Bench collection by Fancy Pants. 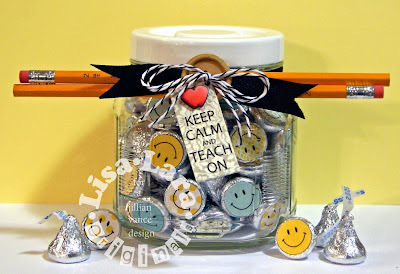 I used my 3/4" circle punch by Stampin' Up to cut out all my circles and adhere with score tape to Milk Chocolate kisses and filled my Dollar store glass jar. I stamped my sentiment onto my rectangle tag using Spellbinders rectangle dies. I stamped, colored with Copic markers and cut out two more apples and popped them up for dimension. I used black twill from (Really Reasonable Ribbon) to tie around my jar and tie on my pencils. Tied on a wooden button using Licorice Divine Twine. I made a masculine card using my new release Doodle Birthday. I paper pieced the boxes , embossed them using CB Houndstooth embossing folder. and added gems over the buttons and popped up with dimensional tape. I made little bows with licorice divine twine and adhered with score tape. 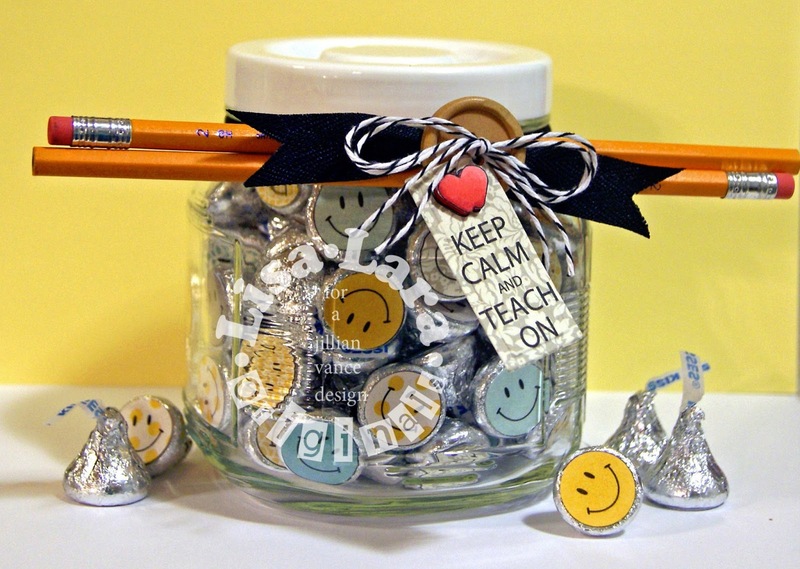 Lisa, this Teacher gift (yummm) is AB-FAB! 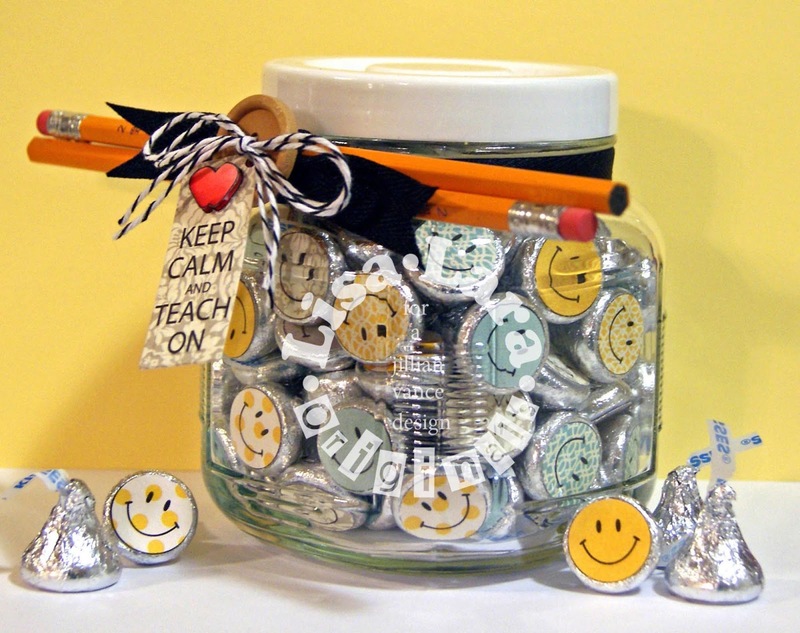 I may have to make this!! Thanks for your Comment on my Penguins card, It made me SMILE so WIDE. Thank you so much!